When things get out of hand, as they did last weekend, my face throws a tantrum. My skin looks dull, I start to break out, and the bags under my eyes age me about ten years. Which is why I’ve come up with a four-part solution: green juice, a face mask, plenty of eye cream, and tons and tons of sleep. 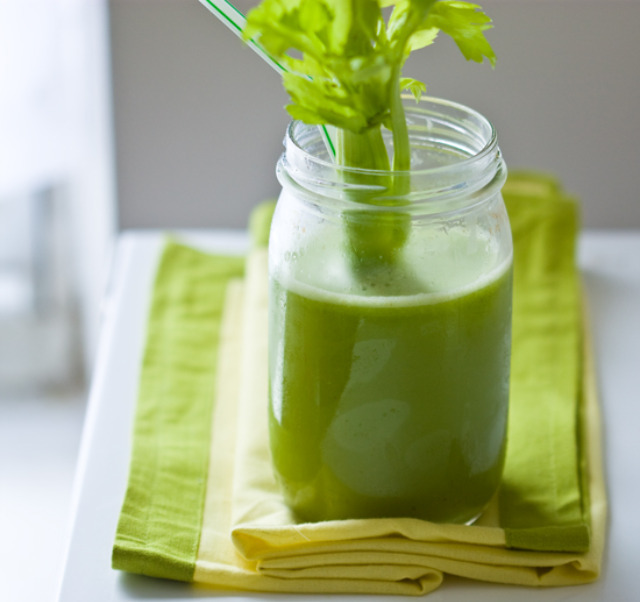 I use this recipe for my juice, although sometimes I just throw in whatever is in the fridge and it always (slash usually) turns out just fine. 1. All about Eyes Serum, $25, Clinique, Sephora.com— I love this eye-cream because the applicator has a cool roll-y ball on the end which is like a massage for your face. And since it’s only $25, I see no problem in applying it five times a day. 2. Super Mask, $50, Dr. Perricone, Sephora.com— You could say I’m a face mask addict. I haven’t met one that I haven’t loved on some level. This mask has ginger in it and your face literally glows after using it. 3. Mellow Yellow sleeping mask, $20, Chris Notti, Bonanotti.com— Chris Notti makes the most beautiful face masks and he has tons of different colors. They’re so chic that I actually feel like I’m doing people a service when I use them on the plane. 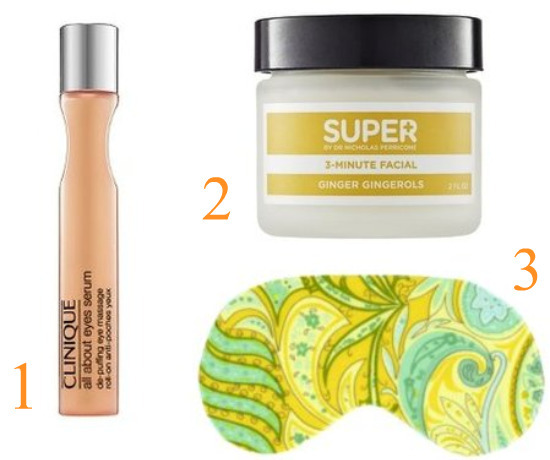 This entry was posted in Beauty, Cooking, Dubai and tagged Chris notti face mask, Clinique, Dr. Perricone, green juice. Bookmark the permalink.